Best friends can have close relationships and still fight with each other. David and Primrose knew this firsthand. It seemed odd they formed a friendship with David at the age of nine and Primrose thirteen. Yet when the pair met, they formed an almost instantaneous bond. Primrose and David had both been through hard times. Primrose and David came from damaged families and endured challenging childhoods. After they met, they would stay up all night walking to the 7-Eleven and their friend Refrigerator John’s house. They went on many exciting adventures to places like the city of Philadelphia and to events like the library movie party. I really enjoyed reading this book about two good friends. I loved reading about their crazy antics, the sad parts, and the touching parts about true friendship. 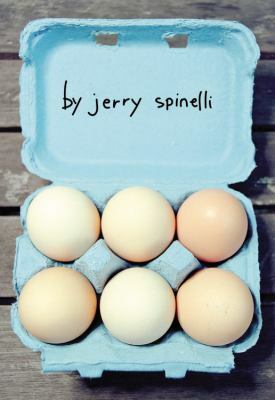 Eggs by Jerry Spinelli is available for checkout from the Mission Viejo Library.